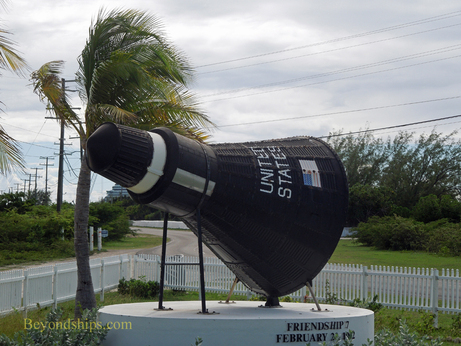 Above: A replica of John Glenn's Friendship 7 space capsule sits at the entrance to the island's airport. There is also an exhibit about Glenn and his flight at the Cruise Center. 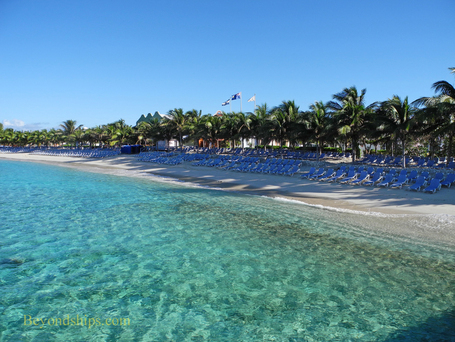 Grand Turk's biggest attraction is its shoreline and the waters surrounding the island. 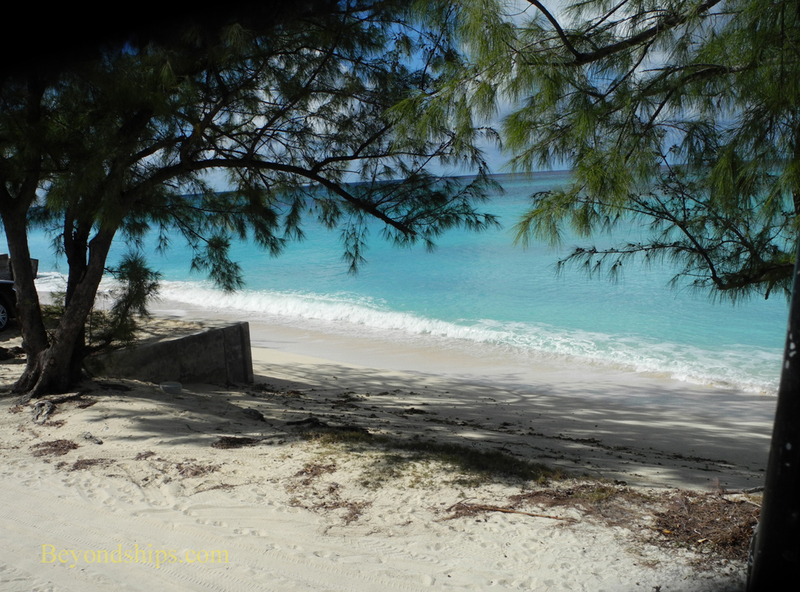 The trade winds blow large waves against the island's eastern shore but the western shore is sheltered and has fine white sand beaches. 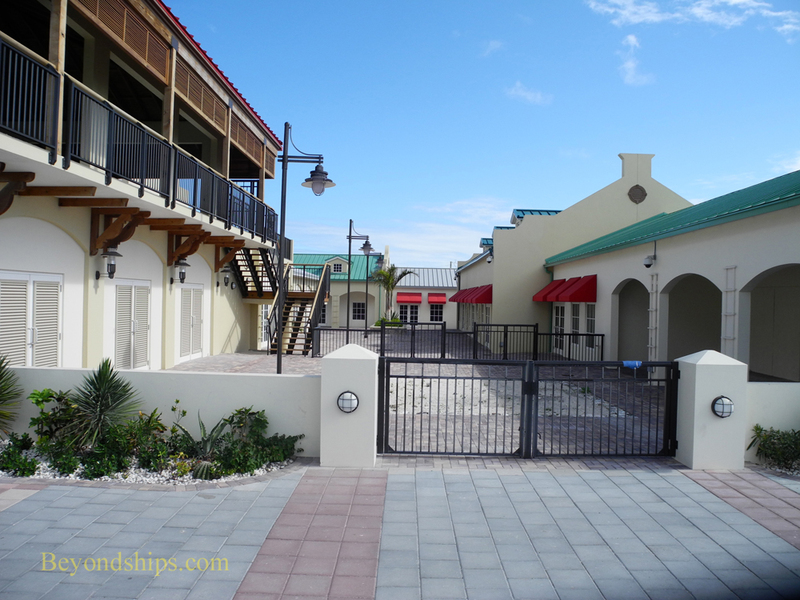 Two of the nicest and best developed are just off the pier at the Cruise Center (see Cruise Center page). 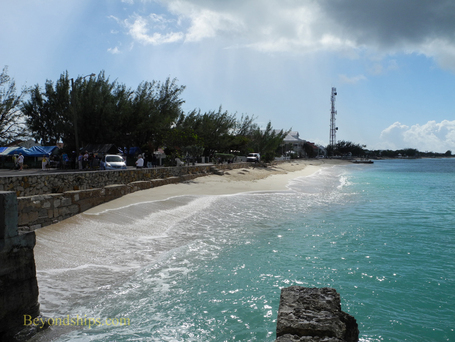 However, the best known of the island's beaches is Governor's Beach, just up the coast from the Cruise Center. 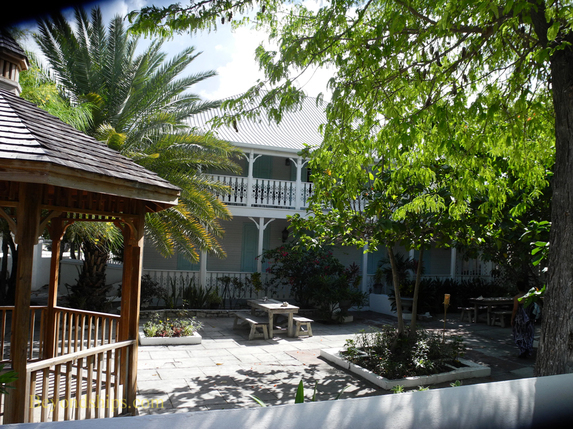 It is adjacent to the residence of the Governor of the Turks and Caicos and is regarded as more secluded. 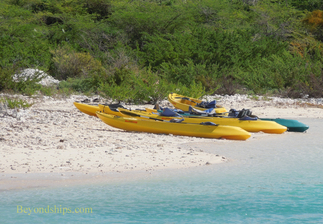 The coral reefs around the island are healthy and thus popular for diving and snorkeling. Around the island, the sea floor suddenly drops off to depths of some 8,000 feet. 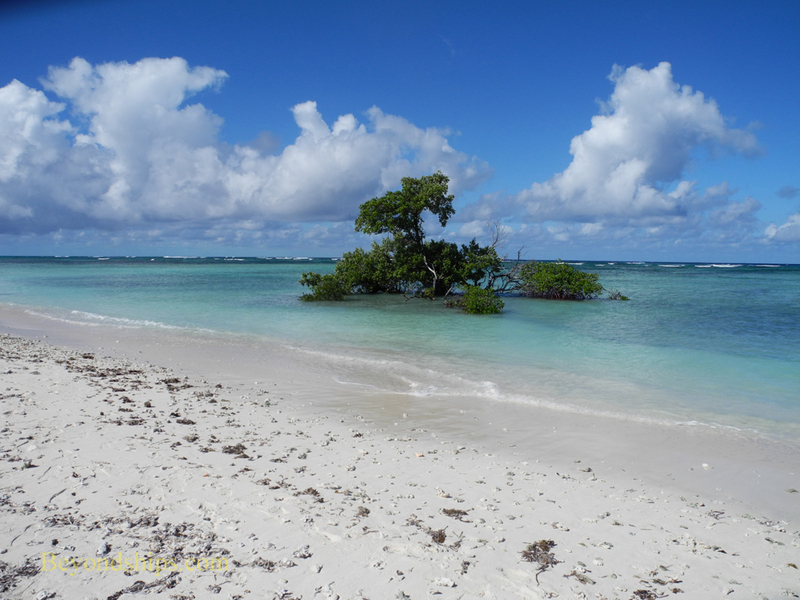 Close to shore, however, the waters are often quite shallow making their exploration possible via beach dives. 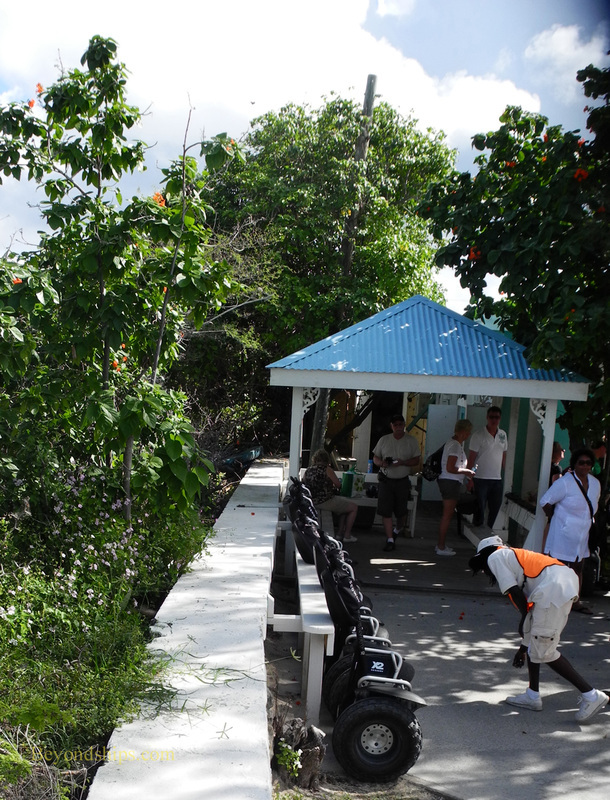 Another popular activity is an excursion to Gibbs Cay, an uninhabited nearby island, where visitors can swim with sting rays. The capital and administrative center of the island is Cockburn Town. It is not an urban center but rather a sleepy settlement that looks more 19th century than 21st century. Front Street, its main street, has little traffic and is thankfully devoid of fast food restaurants and t-shirt shops. 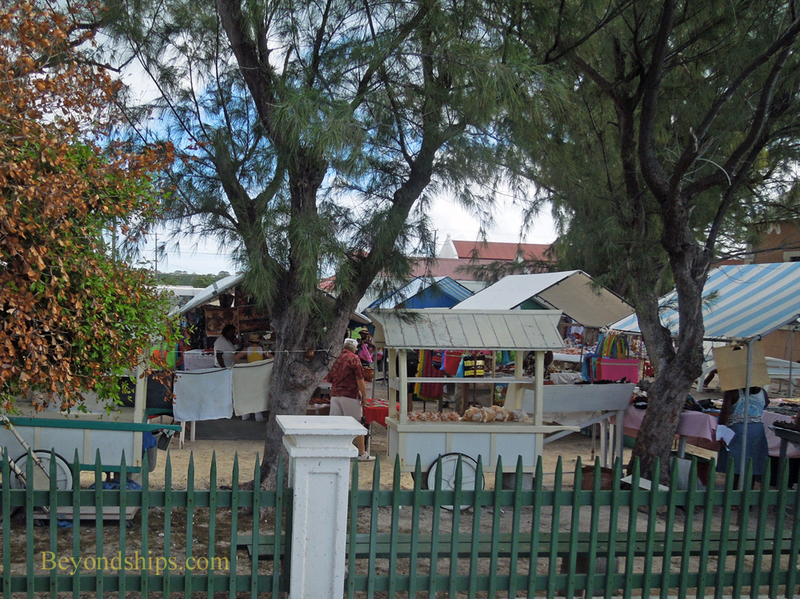 Instead, it has an open air market and buildings with historic Bermuda/Caribbean architecture. 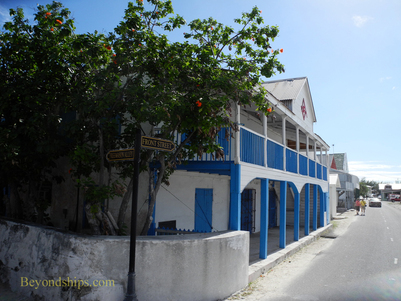 Below: Front Street parallels the coast line and has a sea wall to protect against storm waves. 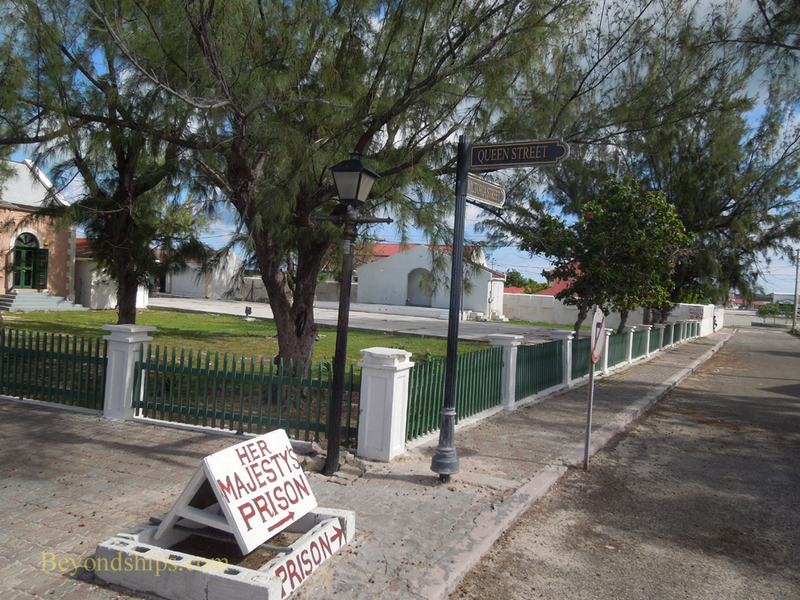 Some other landmarks of Cockburn Town include: the 19th century Victoria Public Library (above); Her Majesty's Prison, now a tourist site (right); the Post Office with its exhibit of postage stamps issued by the Turks and Caicos (below); and the Turks and Caicos National Museum (below right). 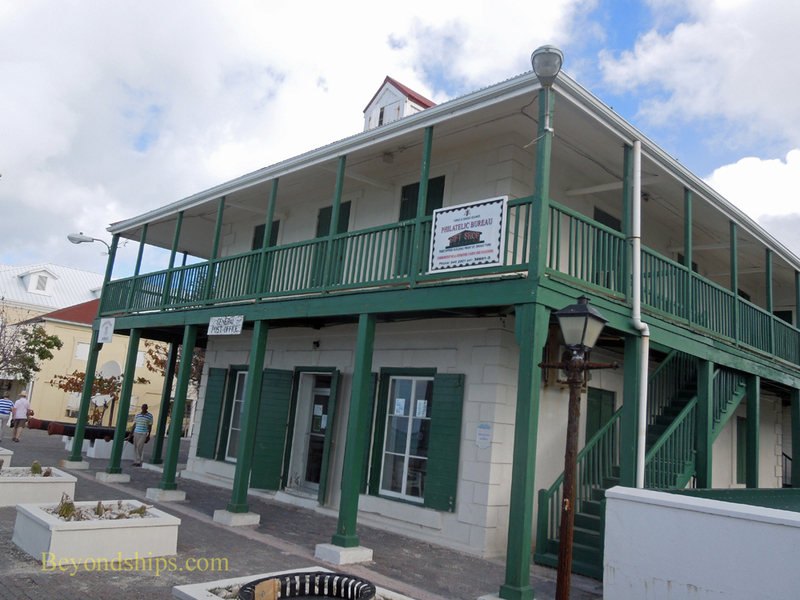 The museum has exhibits about the history of the island including an exhibit on the Molasses Reef Wreck, the oldest European shipwreck discovered in the Western Hemisphere. Below: The plaza by the Old Courthouse. 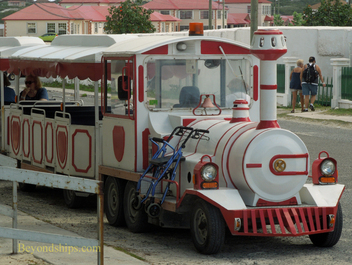 Signs of the times: You can tour Cockburn by segway (left) and by trolley train (below). A new upscale shopping complex is under construction in Cockburn Town (right). Just outside of the center of Cockburn Town is Duke Street. 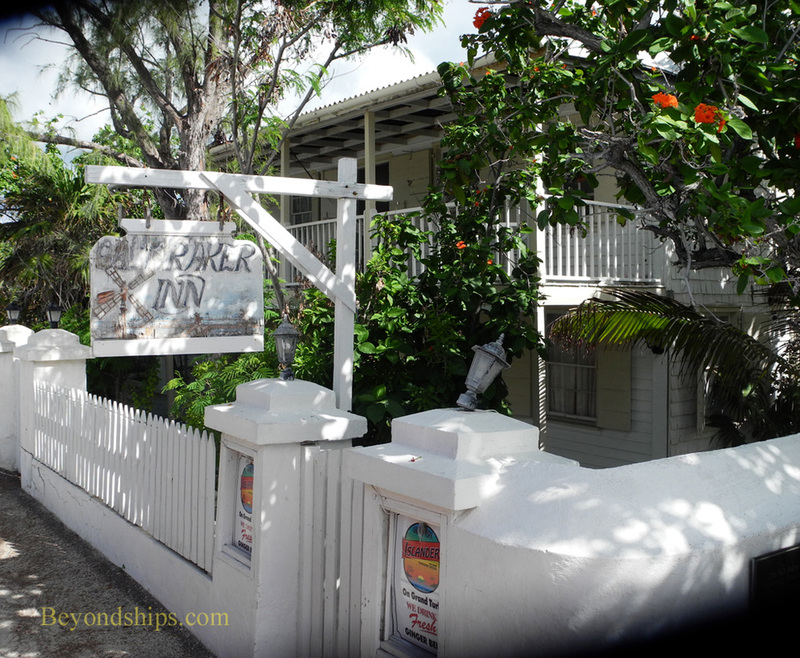 It is known for its 18th and 19th century residences and inns. 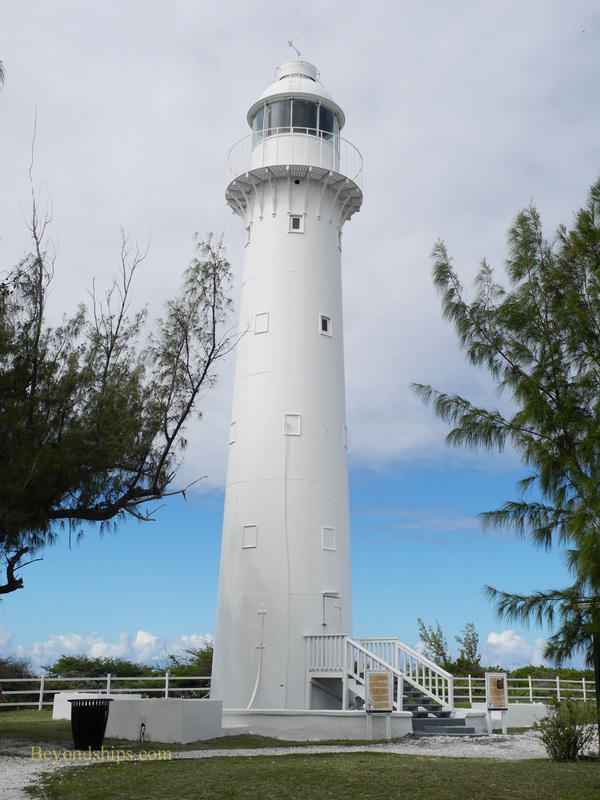 Built in England and transported to Grand Turk in pieces, the Grand Turk Lighthouse (also called the Imperial Lighthouse) began operations in 1852. 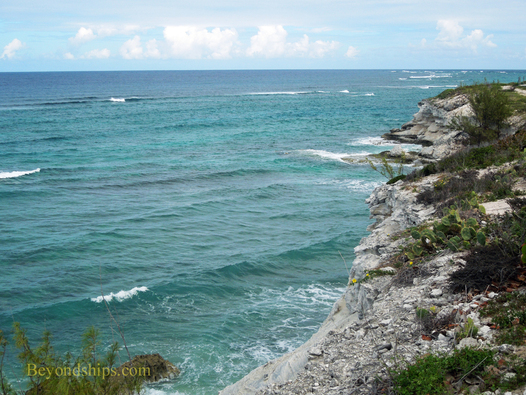 There are believed to have been some 1,000 ship wrecks in the waters off Grand Turk and the lighthouse was intended to warn sailors of the reefs surrounding the island. Even after the lighthouse began operations, there continued to be ship wrecks. This was probably due to the dimness of the whale oil lamps used for the light. 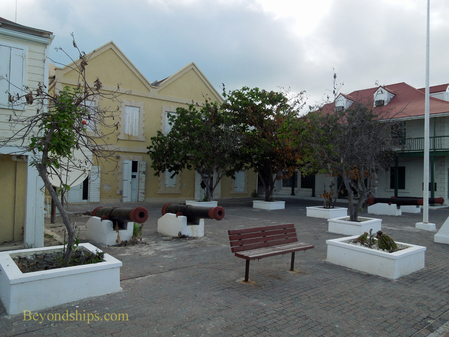 However, legend has it that some enterprising locals dimmed the lamps in order to lure ships onto the reefs and then salvage the cargo. The whale oil lamps were eventually replaced by kerosene lamps and later by electricity. 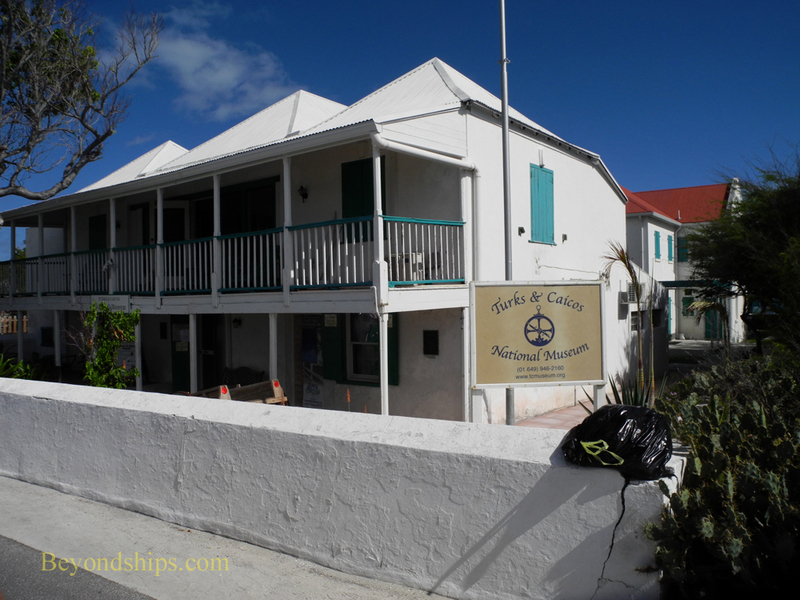 Still a working aid to navigation, the lighthouse is located on the high ground at the northern tip of Grand Turk. At the north end of the lighthouse property is a cliff that drops off into the sea (below left). 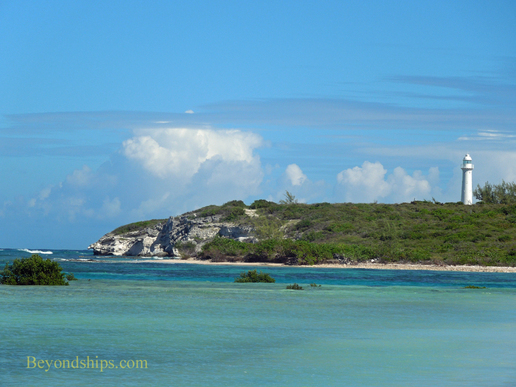 Beyond it is the shallow Northeast Reef that just out 2.8 miles into the Turks Island Passage, a busy trade route and a route often taken by migrating whales. 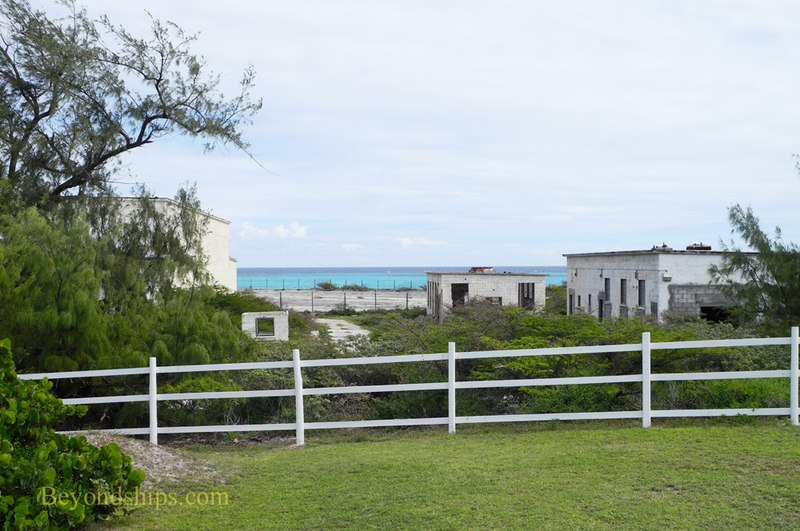 Next to the lighthouse are the remains of the U.S. Navy Facility for Oceanographic Research (below). Constructed in 1954, this hydrographic research station studied the relationship between ocean conditions and acoustics for use in tracking submarines. 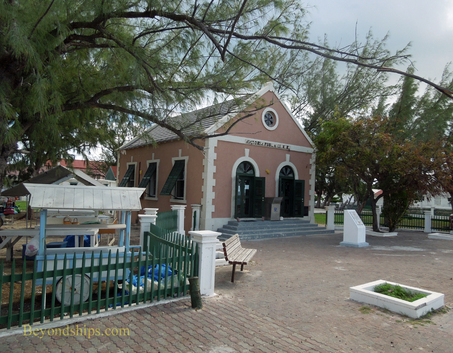 It closed in 1980 and the facility is now part of the Grand Turk Community College. 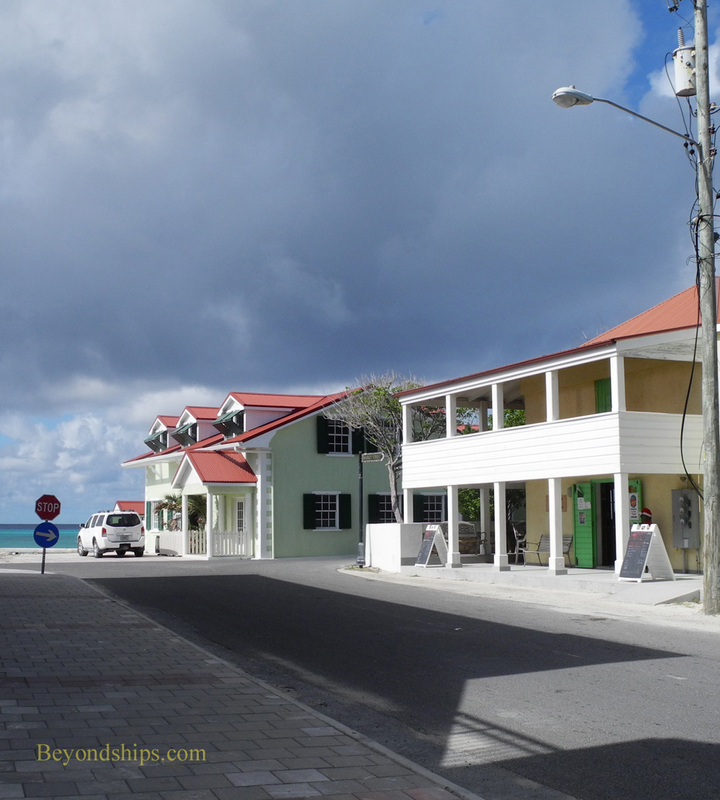 Much of Grand Turk is still undeveloped, particularly in the north end. 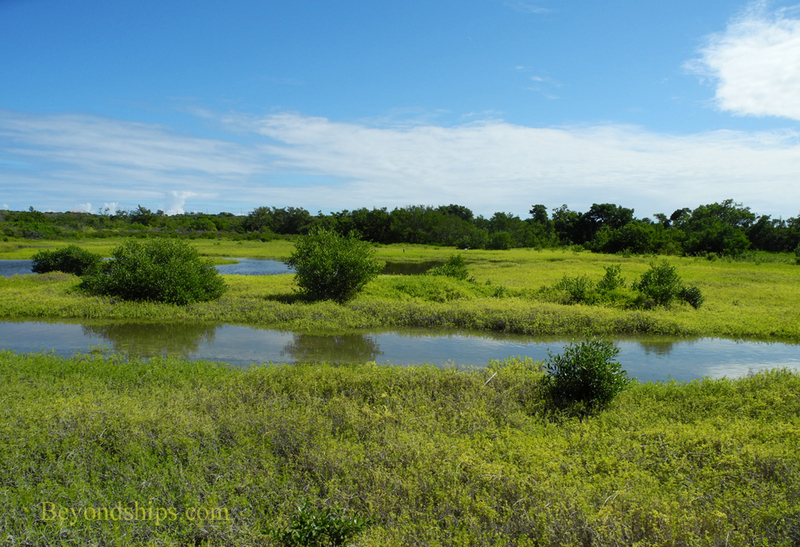 There is isolated shoreline, mangroves and wetlands to explore by hiking, kayaking or on tours.